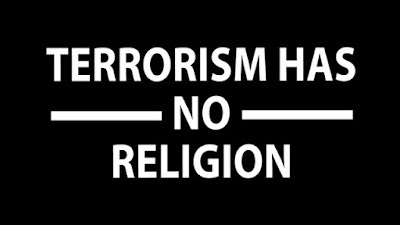 Its very unfortunate today that Terrorism of any sort is always related to Islam and Jihad. A few extereme elements in the clan often misinterprete the teaching of the holy Qurn and present the world all wrong deeds in name of Islam and Jihad. And due to such elements, Islam stands to often blamed. But did any one try to understand the teachings of Islam, Its Prophet and the Quran. Who gave you the right to kill in name of Islam? Who are you to kill the innocent people in name of Islam? Are you A MUSLIM? The Answer is NO. You are not a Muslim. You are not a true follower of Islam and its te4chings. If you were a true follower of islam you would not have dared to do such heinious crime. Our religion of Islaam prohibits transgression and oppression. It prohibits oppression even if this transgression is against someone that we hate. It is still impermissible. We have to be just when dealing with everyone. He prohibited Muslim soldiers from killing women, children and the elderly, or cut a palm tree, and he advised them, "do not betray, do not be excessive, do not kill a newborn child." "Whoever has killed a person having a treaty with the Muslims shall not smell the fragrance of Paradise, though its fragrance is found for a span of forty years." "There is a reward for kindness shown to every living animal or human." From the above teachings how can you decide Islam is a religions of violence. Those who fight and create loss to humanity have never understood the teachings of Islam and Quran. Islam is a reliegion of peace and love.